I cooked a beet! Three, in fact. Boiled them, rubbed their skins off, and pureed them. I’m starting to think claims of staining may be exaggerated, though I washed my hands often and was extra careful not to let juice get on my clothes. 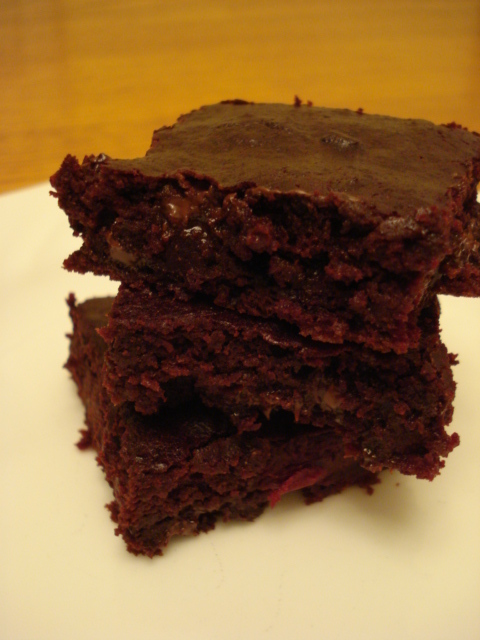 After baking an entire 10×15 baking sheet of brownies I had leftover beet puree, which I used in.. I used Krusteaz. 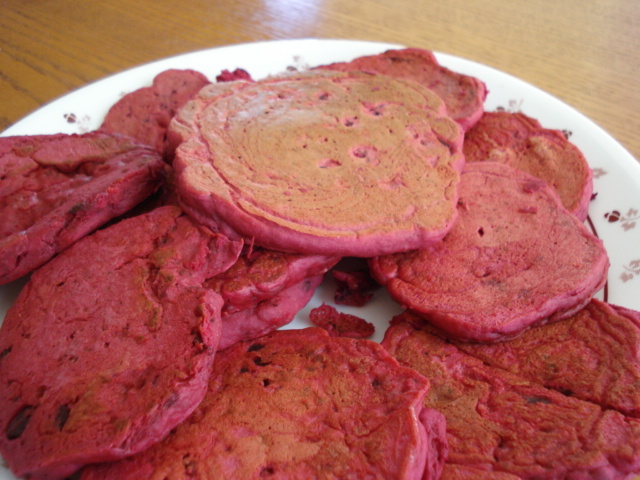 Fun fact: I learned that some bakers use beets to make red velvet baked goods!